So Aeschylus, the great Athenian tragedian wrote in his classic work The Persians. This tragedy chronicles the heroism of the Greeks, with the Athenians at the prow, in defending Greece against the invading Persian armies. The same words were recited in the great Greek theater of Syracuse only a matter of decades before the few survivors of the failed Athenian expedition were imprisoned in the adjacent quarries. They highlight the change in the Athenians from heroic defenders of freedom to doomed invaders seeking hegemony. The irony is not lost on the modern observer, and likely was not lost on those unlucky Athenians. Pictured here is the theatre as it looks today. 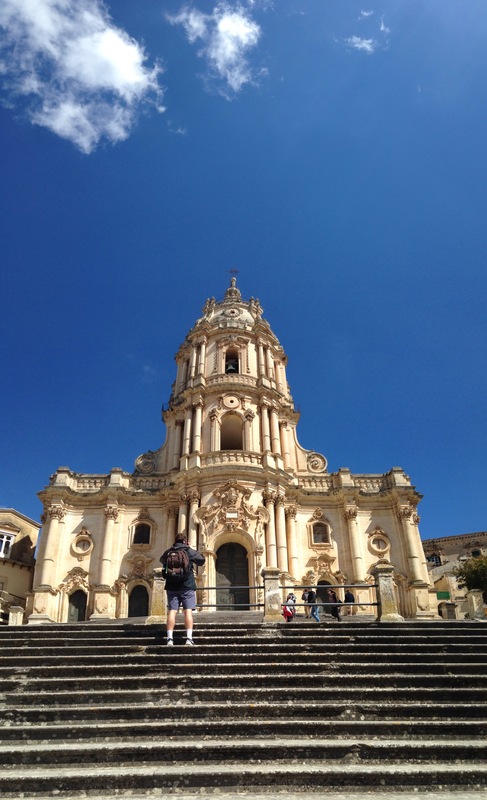 Modica is delightful little town nestled in the Hyblaean Mountains in southern Sicily. It is known for producing famous chocolate in the original style of the Aztecs. The tradition started during the influence of the Spanish Aragonians. We decided we had to stroll to the oldest and most traditional chocolatier in the city and stopped for lunch along the way. The myriad of smoky and flavorful free samples that the shop had to offer ended up being a highlight of the trip, but the raw meat wraps that were accidently (and hilariously) consumed by some unwitting members of the group certainly ranked among the culinary lowlights. Pictured here is the impressive Cathedral of San Giorgio, a Baroque cathedral rebuilt in the newer style after the earthquake of 1693. 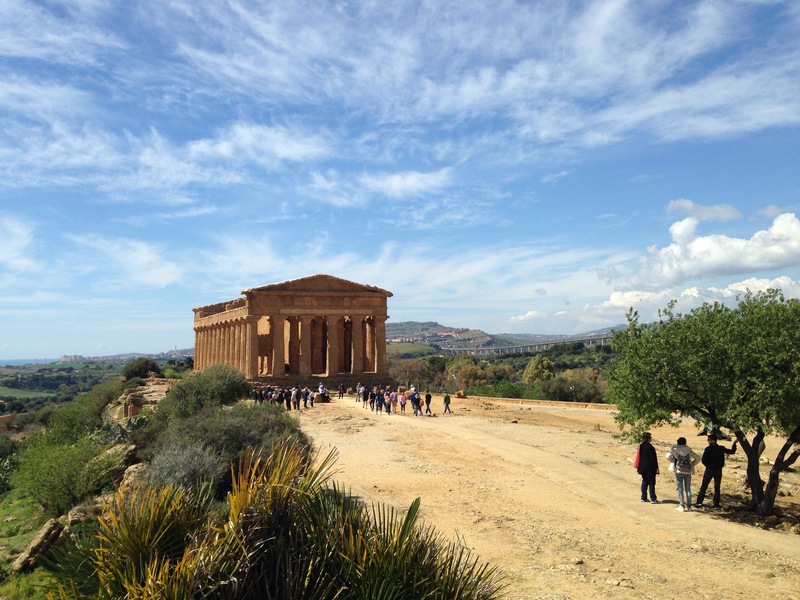 The “Valley” (it’s actually much more of a ridge) is situated in Agrigento and has been a UNESCO World Heritage Site since 1997. The Temple of Heracles, Temple of Ascelpius, Temple of Juno Lacinia, and the Temple of Concordia (pictured here) all lie along the ridge. The Temple of Concordia is widely considered one of the best-preserved Greek temples in the world, inspiring the logo for UNESCO. It’s excellent preservation is due in part to the fact that it was used as a Christian temple for decades and thus was taken better care of. The excellent condition of the temple today really set it apart from the other temples that we’ve seen. If Helen was the face that launched a thousand ships then Selinunte was the city that launched a few hundred from Athens centuries later (with some help from Alcibiades and volatile democracy perhaps). This city, situated near the southwest corner of the island, sought help from Syracuse during a dispute with Segesta, leading to the Segestans seeking help from powerful Athens. Multiple temples exist at the site today, some in better shape than others, along with the stunning Acropolis overlooking the sea, complete with temple pillars and crisscrossing avenues. 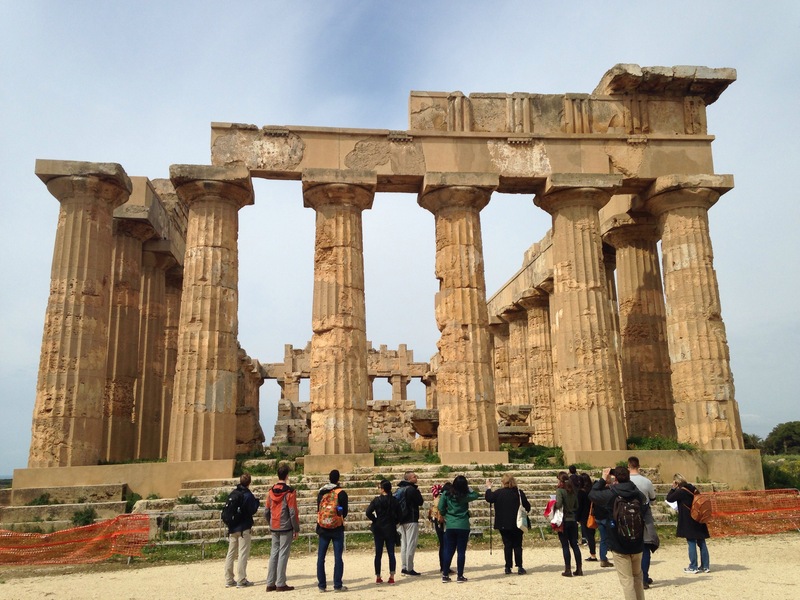 According to Virgil, the ancient city of Segesta was founded by the Sicilian king Acestes and those from Aeneas’ band who decided to stay behind in Sicily as he pushed on to the Italian peninsula. The Segestans were constanly quarreling with Selinunte and in 415 BC they asked the Athenians for support against their rivals, thus precipitating the ill-fated Athenian Expedition against Syracuse, which ended up contributing to the end of the Golden Age of Athens. Today, the ruins of the city, including a well preserved temple and the stunning theater pictured here, are situated 300 meters above sea level on top of Monte Barbaro. The theater is carved into the hill itself, in the traditional Greek fashion of creating human space out of the natural landscape. Theatergoers are afforded a beautiful view of the valley that stretches out to the Mediterranean in the distance.